It’s that time of year again. The time for giving thanks, for being with loved ones, and for dancing disco. Yup, disco. de lit up the Moonlight Rollerway with holiday spirit and solid gold sequins. It was superfly and super fun. 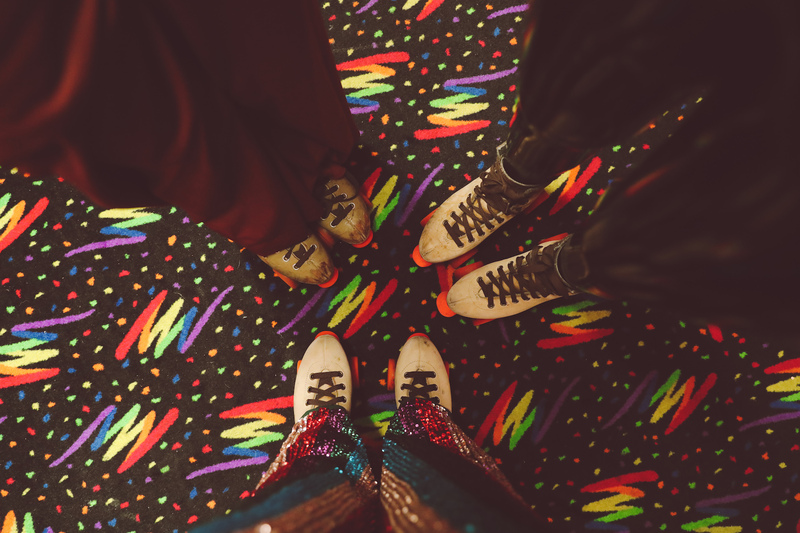 We skated, we danced, we skated and danced. Which made for some pretty hilarious pictures and some pretty epic wipeouts. The whole night was captured, in all of its glittery glory, with the one and only MirMir Photo Booth. Fake seventies mustaches never looked so good. All in all, it was a great night and the perfect way to roll out of 2018. Many thanks to the boys and girls at the top. They really went all out on this one. I think I even saw Will Ferrell.